For fans of: Tom Waits, Panda Bear, Kwes. London native Archy Marshall, better known as “King Krule,” released his much anticipated first album this past August, on his 19th birthday. King Krule has been attracting a lot of well deserved attention since the release of that debut, “6 Feet Beneath the Moon.” The album displays Marshall’s fiery passion through his untamed and unconventional voice, thick with a London accent. With minimalistic, simple melodies and powerful vocals, this LP is seemingly the beginning of a successful career for young Archy Marshall. “6 Feet Beneath the Moon” is a varied and complex album that highlights the real range in Marshall’s talent. It opens with “Easy Easy,” a song marked by simple strumming patterns that remain constant. This commanding song displays his raw, baritone voice. The album takes a quick shift on the second track, “Border Line,” in which his often gruff vocals become softer, presenting a more velvety sound. This gracious melody is followed by one of the most emotional tracks on the album – “Has This Hit?” – in which a bashing drum punctuates his stirring and potent voice. Marshall really hits deep in this track with the question: “Why is it when I look into the sky there is no meaning? Girl, I’m the only one believing.” As the album progresses, Marshall includes the standout track “Neptune Estate,” another soft number with great character. The incorporation of saxophone works both to highlight Marshall’s voice and offer an unexpected, yet welcome change in sound. The closing track, “Bathed in Grey,” pleases with its background piano and synthesizer sounds tying together the variety of notes Marshall hits throughout the LP, and solidifying for listeners that this artist is a great talent, someone to watch. The album is raw and unrefined, which is not surprising considering Marshall’s young age and “music immaturity,” but it is solid. Although the album lacks unity, it has scattered moments of excellence impressive for any artist, let alone a nineteen year old just starting his career. 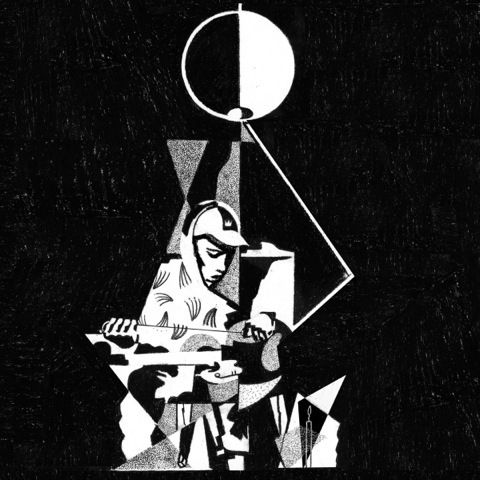 This album displays a very promising future for King Krule; ” 6 Feet Beneath the Moon” is an interesting album, definitely worth a listen. « TDP Music News: Click. Like. Comment. Share.